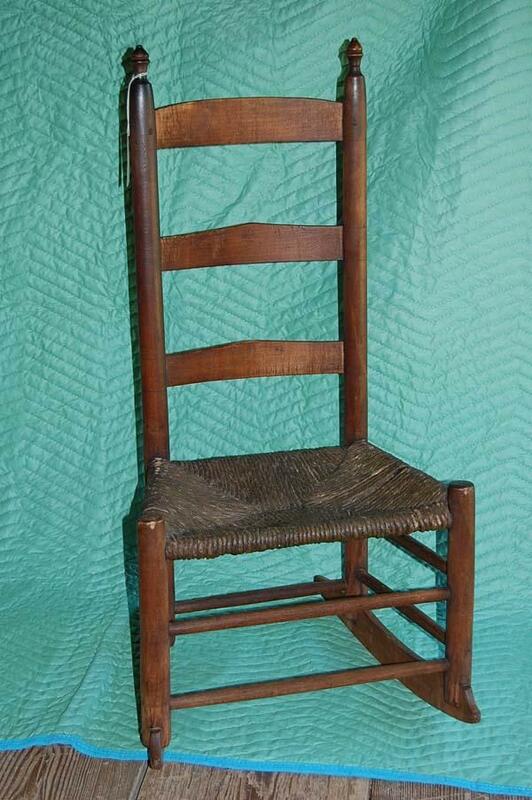 Ladderback Rocking Chair with Woven Seat. North Carolina State Historic Sites. Ladderback rocking chair with three shaped slats on back. 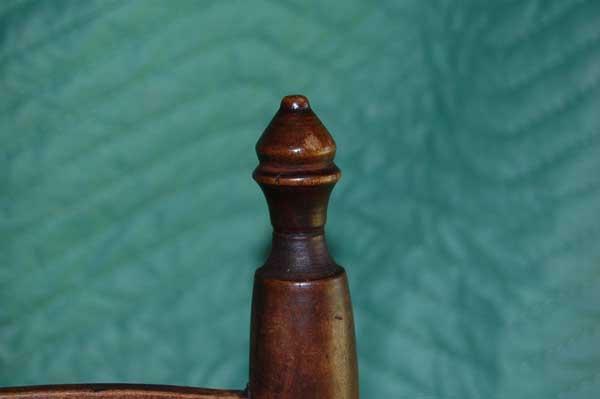 Woven rush seat, straight legs with turned finial at top. Wide rockers. Constructed about 1860. 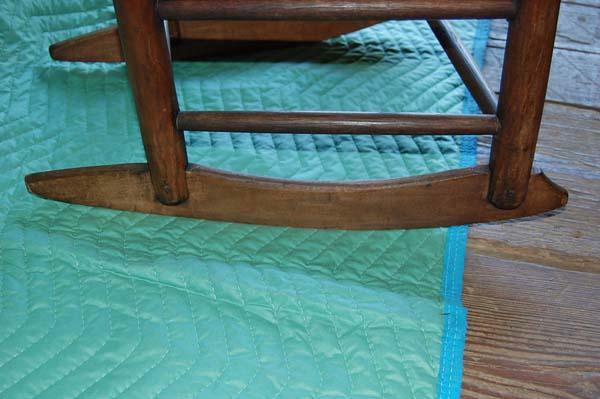 Rocker Detail Ladderback Rocking Chair with Woven Seat. North Carolina State Historic Sites. Finial Detail. Ladderback Rocking Chair with Woven Seat. North Carolina State Historic Sites. Source: North Carolina State Historic Sites, accession number 1960.30.20. 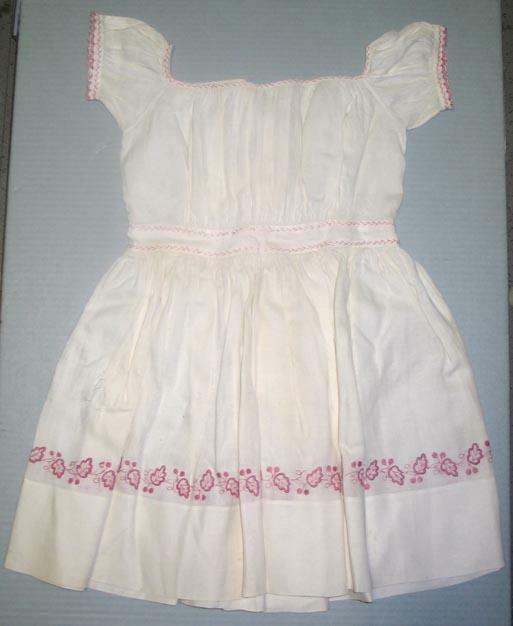 Child’s dress. Made in Mobile, Alabama for Zemula “Zemmie” Vass (b. 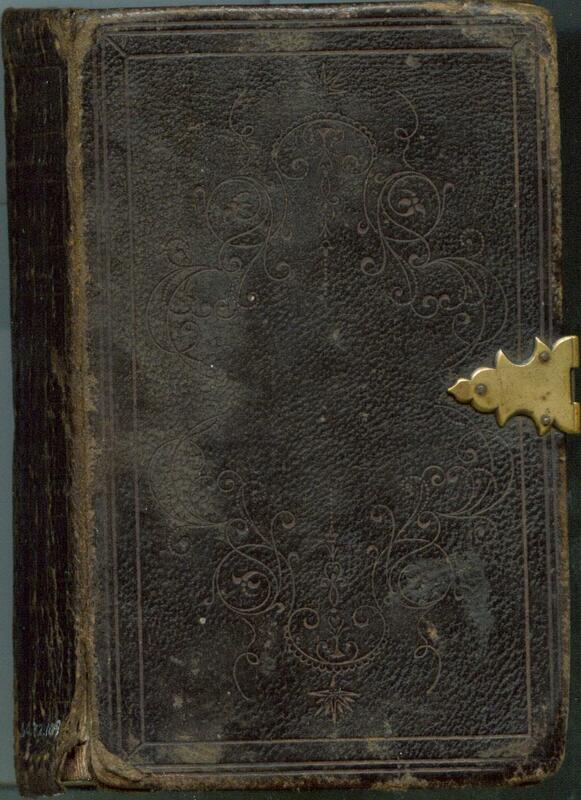 1864) by her mother, Emma Jane Townsend Vass. Part of Zemmie’s family relocated to Raleigh NC after the Civil War. 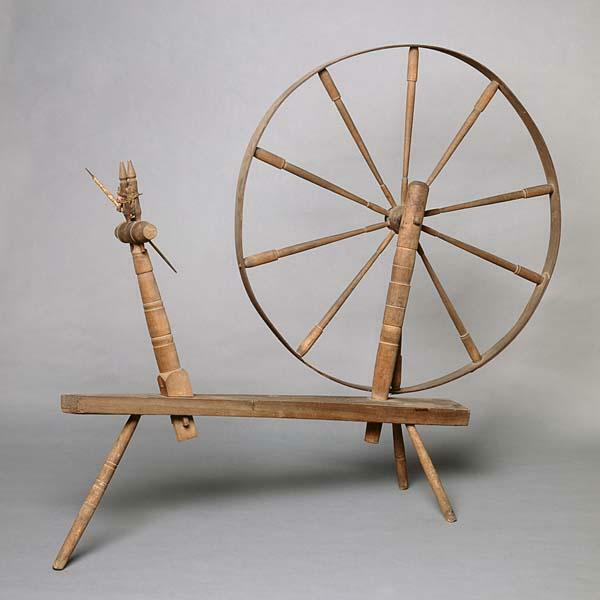 Spinning wheel . 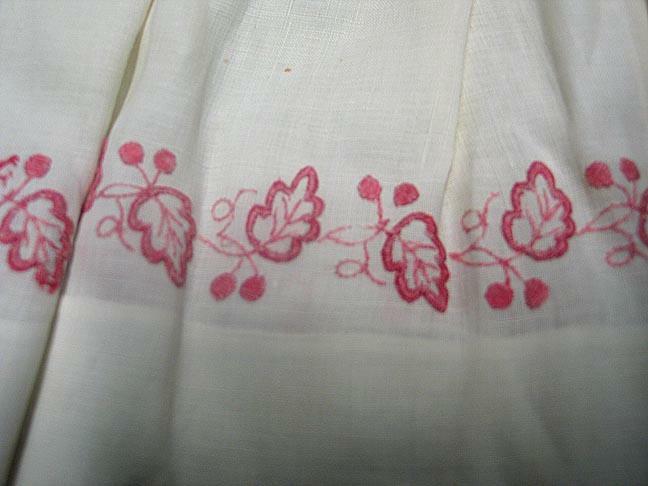 Part of a collection used by the Hearne family in Greenville, NC (Pitt County). Likely used by Nina Harris Redditt and Belle Hearne Harris. Hearne family spinning wheel, Pitt County, NC. NC Museum of History Collections. Brass, iron, and wood .36 caliber revolvers. Made by Spiller & Burr of Atlanta, Georgia. Serial numbers 1214 and 882. Patterned after the US 1858 Whitney Navy Revolver, 1500 of these were made in Atlanta and Macon, Georgia 1862-1865. These were made after May 1863. Due to shortages of materials, iron was used instead of steel for the cylinder, and brass was used instead of iron for the frame. 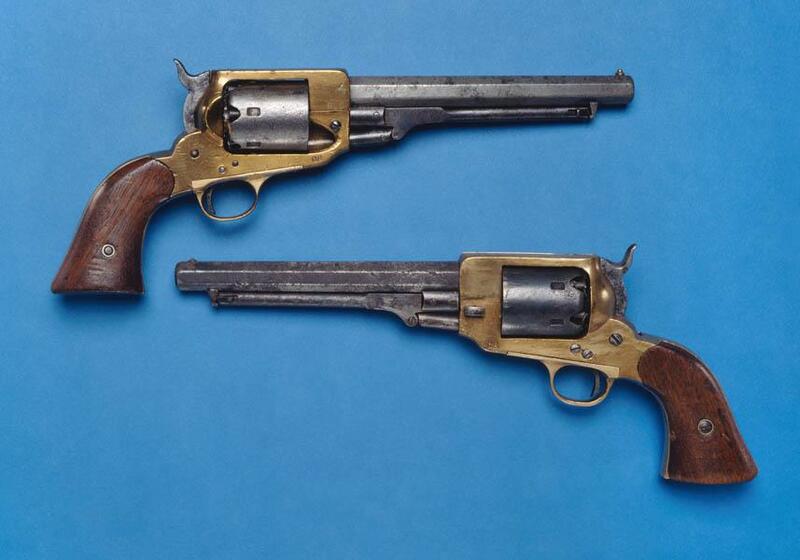 Both are marked “CS.” These revolvers are considered second model style because of the major changes to the lock frame that occurred during the summer of 1863 because the lock frames burst during successive firings. M.H. Wright proposed the decrease “the distance froom the end of the cylinder to the lock frame in front – so that there would be but slight play between the end of the cylinder and the lock frame, instead of ¾ of an inch or thereabouts…this would…increase the strength…of the frame.” All revolvers manufactured after May 1863 incorporated this change. At the age of sixteen, John P. Young enlisted with his father in 1861. 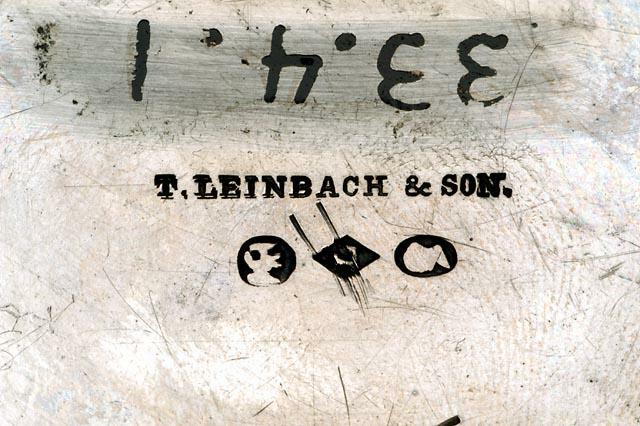 They served together in 1862. The father resigned in January 1863, and in March John was promoted to captain. On May 3, 1863, he died leading his company in an attack on the Federal lines at Chancellorsville. From Cabarrus County, NC, Young was a cadet at the North Carolina Military Institute in Charlotte before the war. 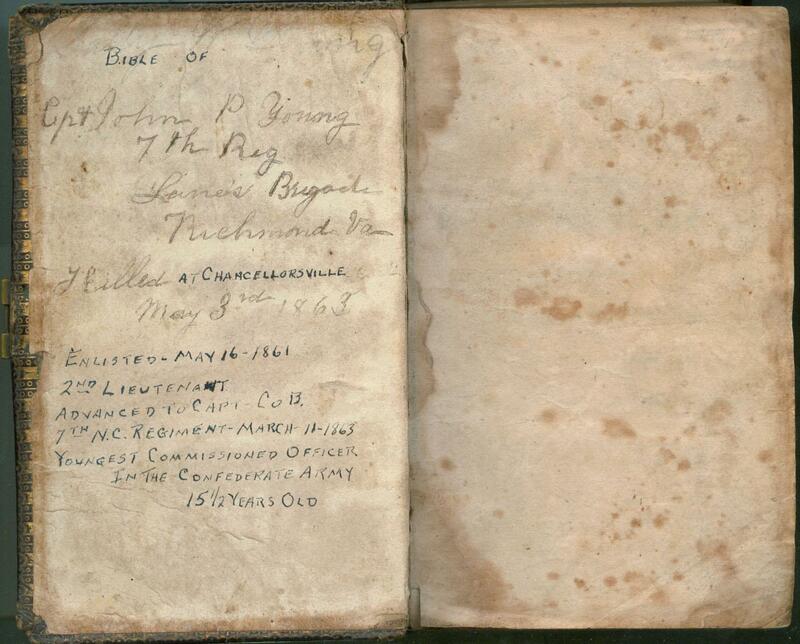 Read about the 7th Regiment’s history here. 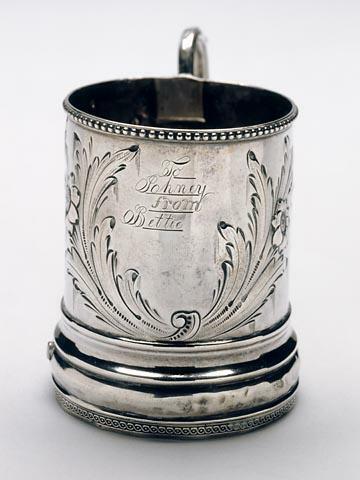 Curator’s Notes: In 1861, when the Civil War was declared, Bettie Archer Wrenn had her silver coins melted down and made into this cup for her brother, John Lawson Wrenn. 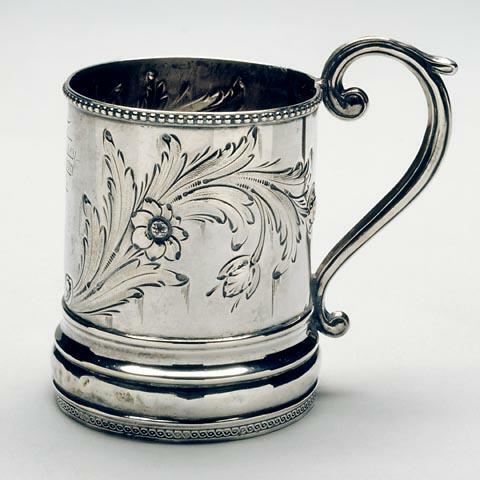 The cup was made by Moravian silversmith, Traugott Leinbach, in Salem, North Carolina. Wrenn carried the cup throughout the war as a member of the 4th Regiment of North Carolina Cavalry. 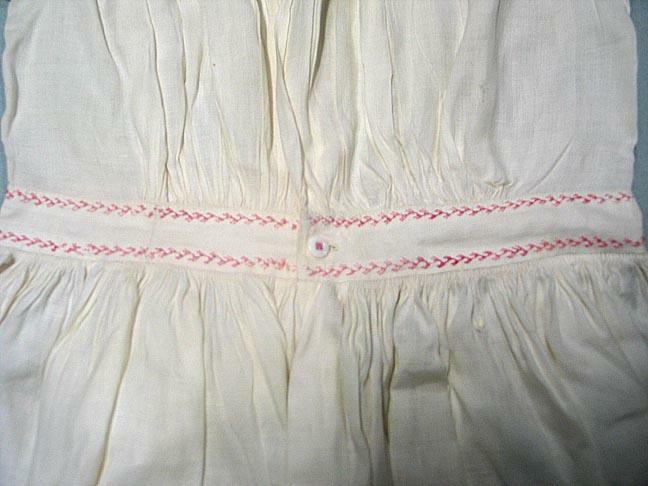 Cut any old woolen articles into long strips, from one to two inches broad. Braid three of these together, and sew the braid in gradually increasing circles till large enough. 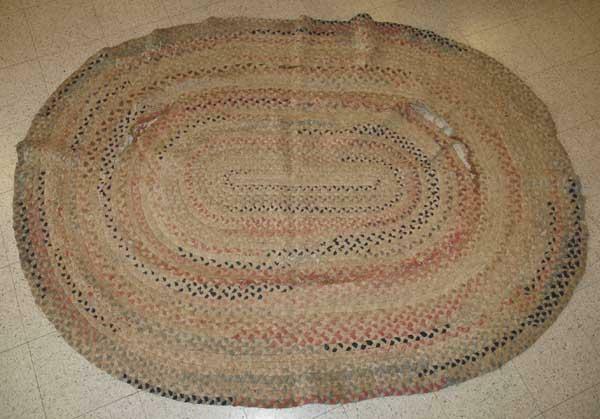 Braided rug. No date. NC State Historic Sites, accession number 1962.14.3.